Perfect Presentation Top Notch Template~NEW!!! Hello! Today I have a new template to show you from Perfect Presentation called Top Notch! Leigh Ann has created another fabulous gift box with a super cool closure. Check it out! This tab just slides into the slit at the bottom and stays securely closed! Love it!!! 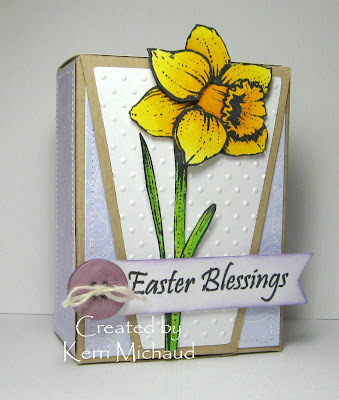 I used this beautiful Daffodil from Flourishes that I borrowed from my mom~Thanks mom! I stamped it twice, and cut out a couple of the petals to add dimension. The sentiment is from an Our Daily Bread Designs set called I Am The Way. The patterned paper is SU Tea Party DSP. Make sure you check out what the rest of the DT created with this awesome new template and thank you so much for stopping by! Wow! Gorgeous gift box! Love this closer too! You're welcome! 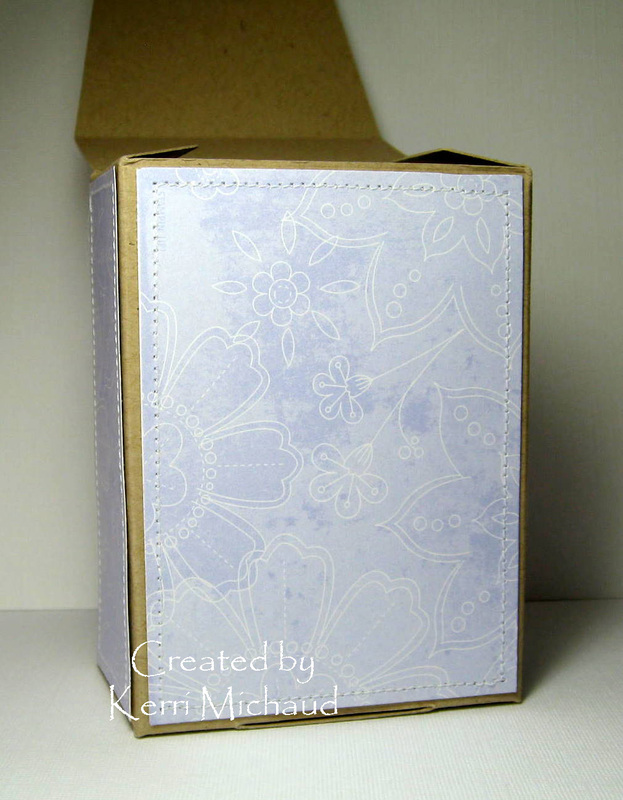 This made an adorable box, and your coloring is supurb! Love it! So pretty and springy! Great work, Kerri! I love the coloring and the embossing too! You're awesome! LOVE how this daffodil "pops" of the box! LOOKS REAL! WOW Kerri that box is BEAUTIFUL!!! I LOVE that daffodil too it sure is beautiful and your coloring on it makes it look soooo real!!! Gorgeous sweetie! Love that big, bright yellow flower....and that purple is so Easter....and on kraft - love that look too. What a pretty gift package. Love the box, but your coloring totally ROCKS!! Your coloring makes the flowers you've been doing lately look so realistic. Wow...can't believe I missed commenting on this! It's absolutely gorgeous! 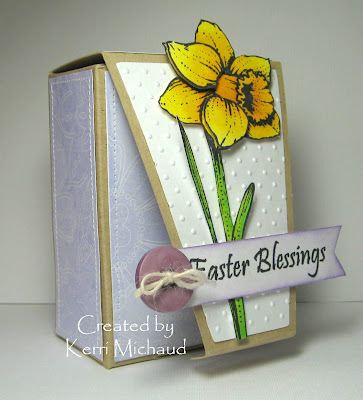 I love how you added the daffodil to the front and just added dimension with a couple of petals...so pretty!